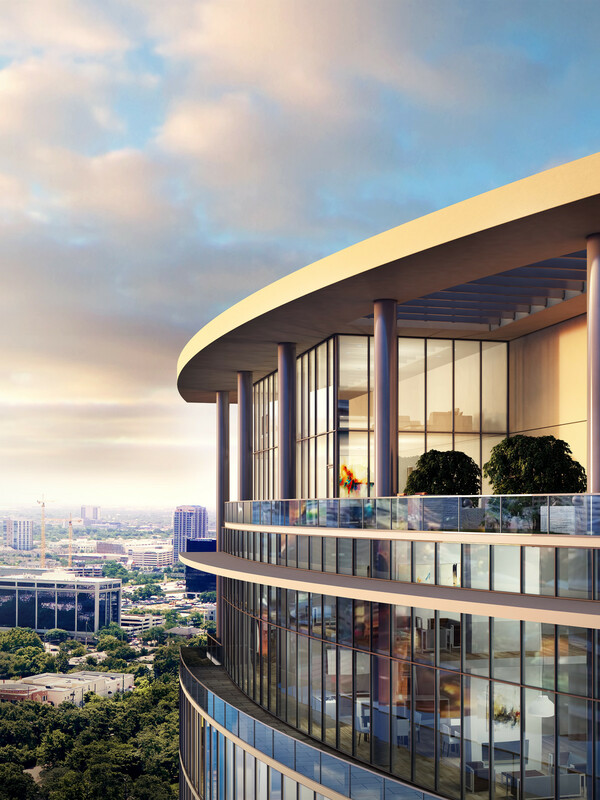 Adios traditional high-rise living, hola sculptural profiles and amenities that give those moving from terra firma a sophisticated option for living in the clouds. Thank you computer technology and new supple materials for making the transition a seamless reality. 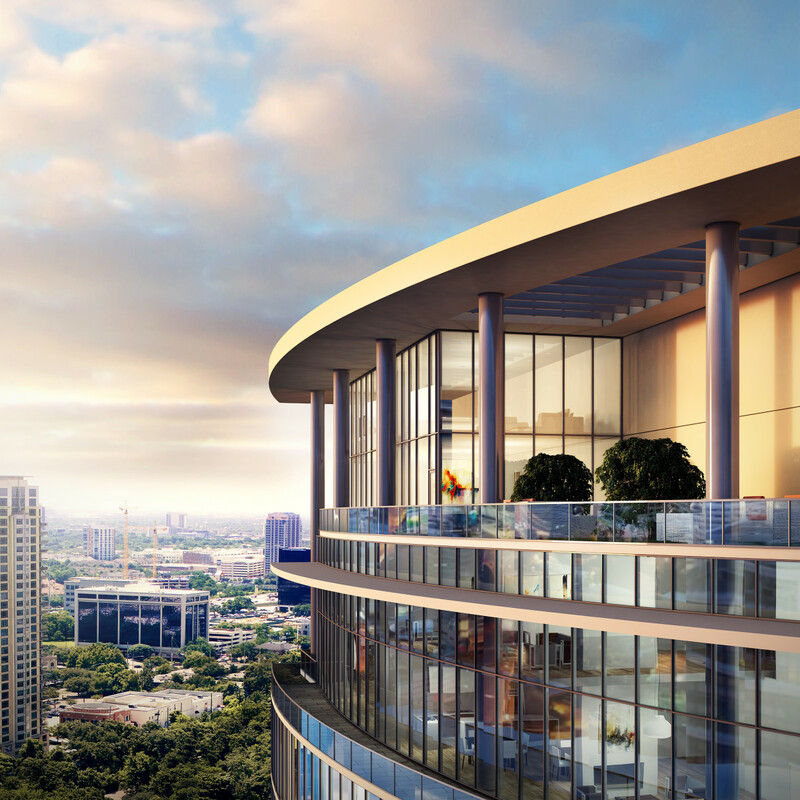 Case in point is Philip Johnson Alan Ritchie Architects (PJAR) current Houston project — Aurora, a 16-story modernist high-rise that will soar over Tanglewood and Uptown Houston. 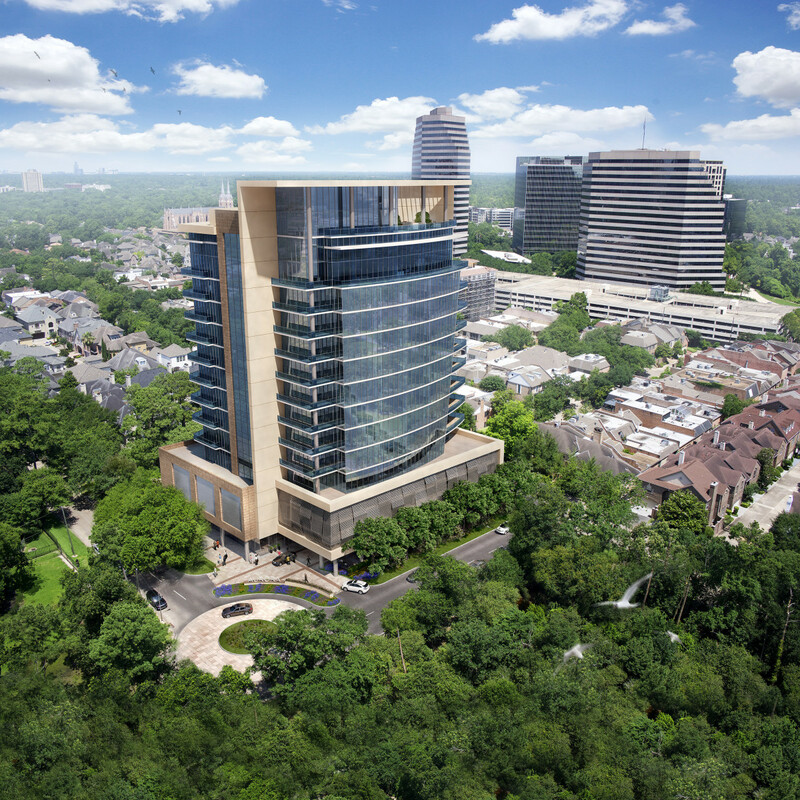 Just as the late, great Philip Johnson's Pennzoil Place, Williams Tower and Post Oak Center redefined the city's commercial profile so Aurora and 3615 Montrose, another PJAR project, promise to ignite a new form of residental living. 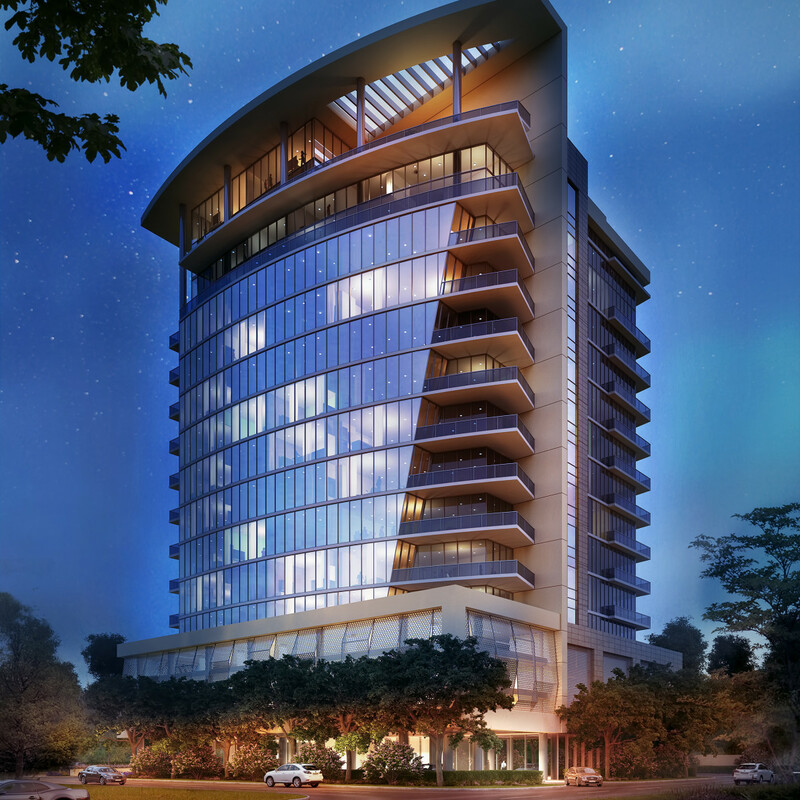 Think curving glass walls, sweeping verticals, sharp-edged corners and undulating balconies. 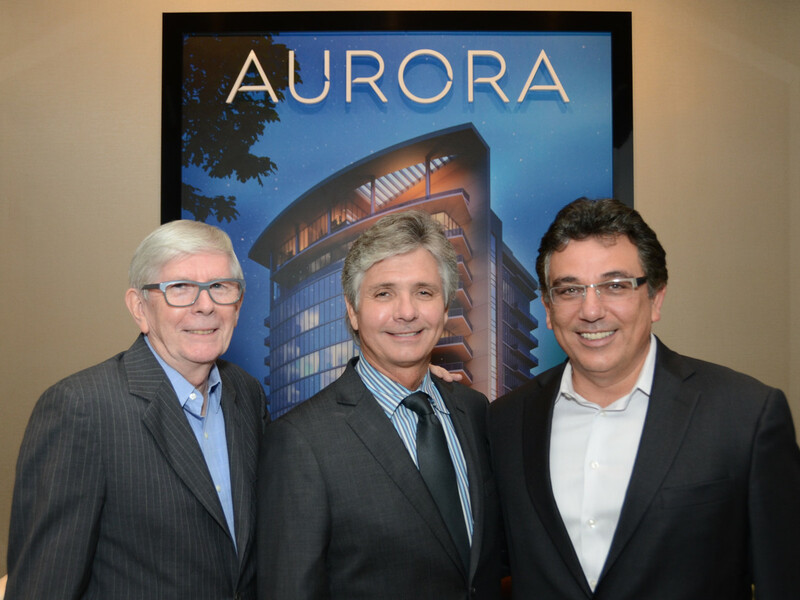 Ritchie was in town for the grand opening of the Aurora sales office in Uptown Park where he discussed the project along with Marko Dasigenis, who heads the PJAR Houston office. "We're excited to be back because we had such a presence for so many years," Ritchie said. 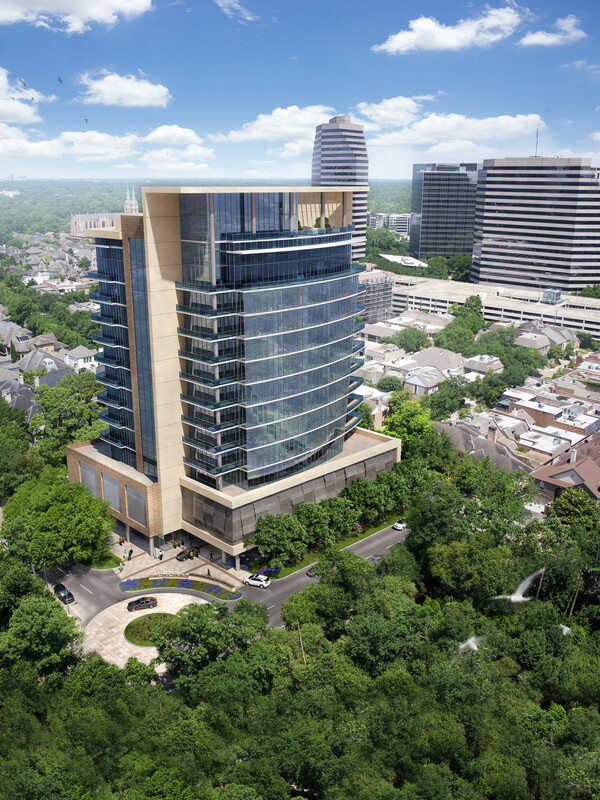 This time around it's "a more modern sculptural form" that will define the firm's projects much like PJAR's design of the AT&T and Sony buildings in New York. "So coming here, I saw that there really hasn't been anything like that and everybody has been complaining about the sort of boxes and the standard thing," Ritchie said. "So one of the things that Marko and I discussed was how we could extend that through some of the ideas that we had been developing . . . and so this is where it's given us some opportunity. 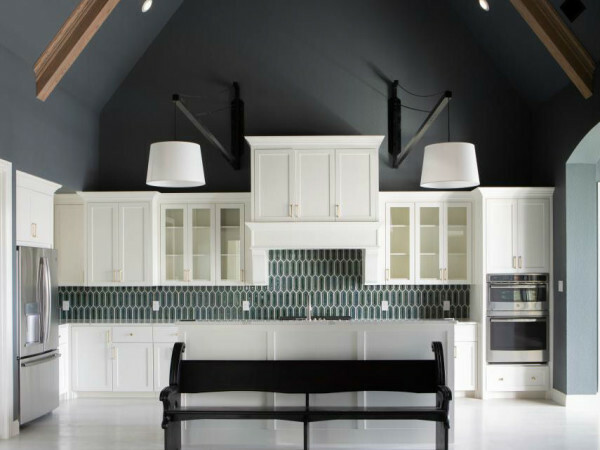 We've given the clients some ideas and they have been very receptive to it." 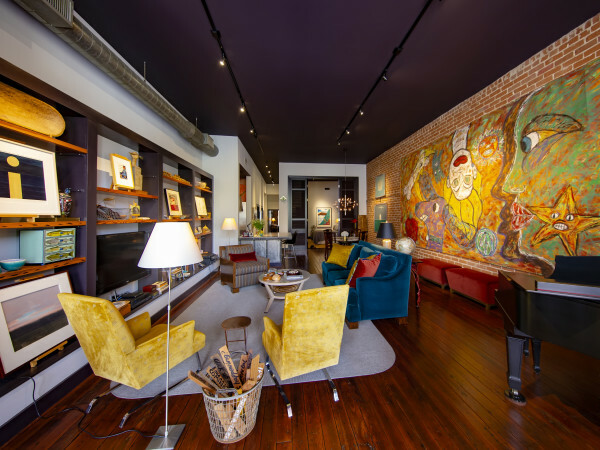 In fact, PJAR is in the early stages of design for another project this one in the Museum District, "something that will become a signature building in the neighborhood." 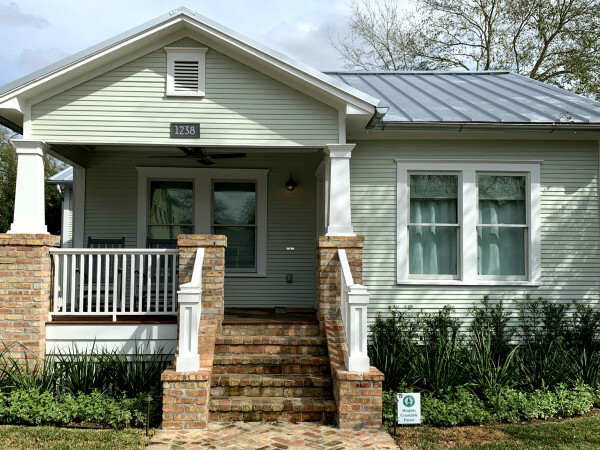 But the lid is on details until the developer is ready to discuss. Sims Luxury Builders on the other hand is all about spreading the news on the Aurora. 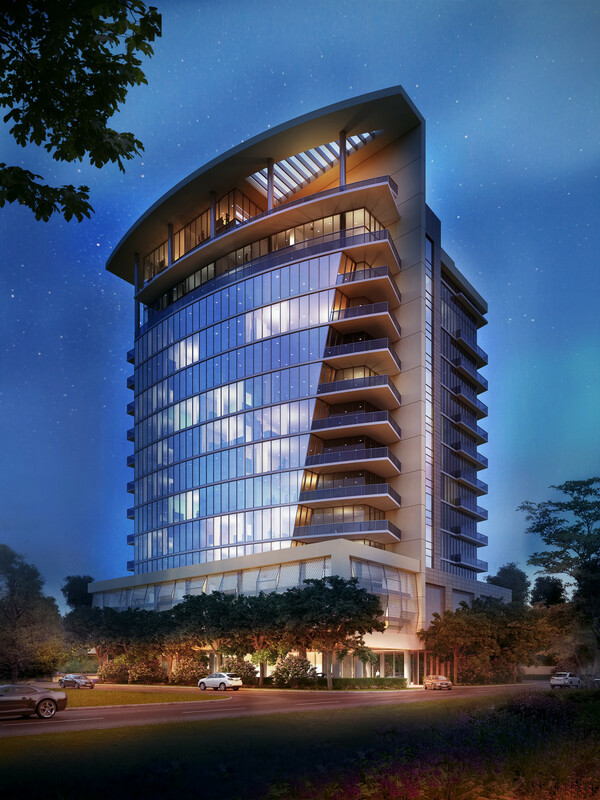 The project will have 40 residences, ranging from 3,400 to 4,000 square feet with four penthouses ranging from 5,700 to 6,400 square feet. Prices start at $2 million. Sudhoff Companies has been tasked with marketing the project. 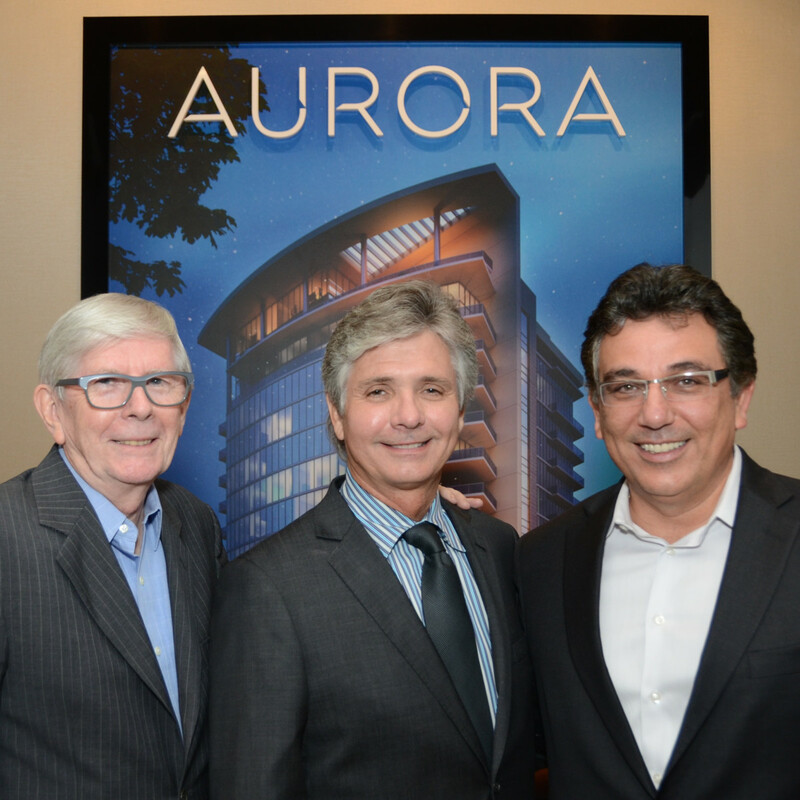 Describing the Aurora, Ritchie said, "I hate the word style but it's modern architecture clean, simple modern architecture but having sort of the free form sculptural form and using materials which enable us to express that sort of thing, obviously glass, metal panels."